We are SOOO excited to welcome Megan and Erika of Modern Body Massage Works to CrossFit Aevitas in 2018! Megan Paul started her career in massage therapy in 2012 after graduating from the Center for Natural Wellness in Albany. Since starting her career she has worked with a range of medical professionals, taken a series of continued education including Deep Pressure through light touch, The movement fix, FMT Rocktape lvl1 & 2 Certification course, and Rockstock live course, along with years of hands-on experience and her own athletic pursuit. 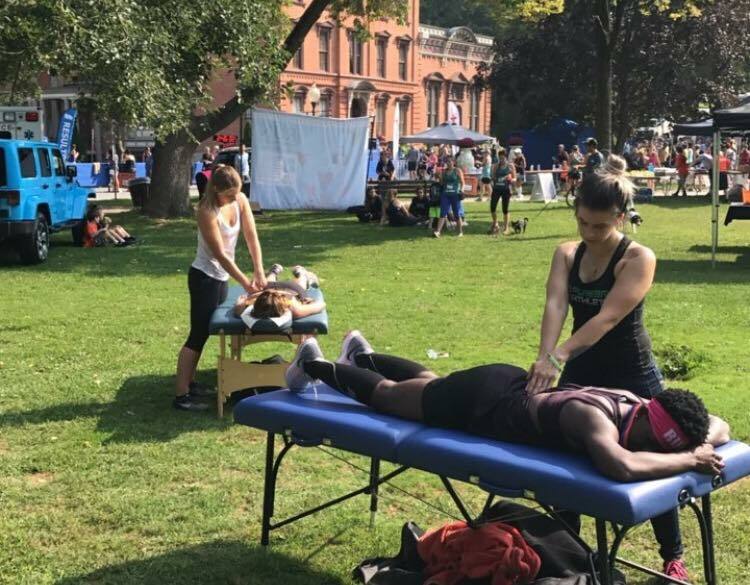 Megan works with many different types of clients and believes that great massage is not exclusive to pro-level athletes. That everybody deserves to have the best care and most beneficial bodywork possible. Whether you work in an office, do manual labor, are a weekend warrior or more advanced athlete. Megan also believes in educating her clients, suggesting stretches and strengthening exercises to aid in the healing process and to help you live pain free long after your session. Erika Van Zandt has a decade worth of hands-on experience as a massage therapist. She has worked with a wide range of clients that include professional and college athletes, competitive CrossFitters and powerlifters, as well as desk workers, youth, and elderly populations. Her interest in bodywork and self-care stemmed from her own injuries as a former Division 1 multiple-sport athlete. She is certified as a Corrective Exercise Specialist and is a Strength Matters Level 1 Kettlebell Instructor as she firmly believes in correcting the root of the problem and not just putting a “band-aid” on the site of pain. In addition to being a full-time therapist, Van Zandt has coached college soccer for the past 14 years and is currently an assistant coach at Union College. She is also RockTape IASTM certified. Now that you know a little bit about Megan and Erika, set up a time to meet them in person and get some work done! You’ll feel refreshed, rejuvenated, and ready to take on whatever challenge life is about to throw your way!